If you haven’t seen it yet, the Mont-Tremblant International Airport is renowned for its warm, welcoming ambiance. Originally built as a log cabin with a beautiful fireplace, this exceptional arrival and departure point embodies French Canadian character. Check out our vlog to learn more about the airport’s history as we interview Serge Larivière, the airports president. 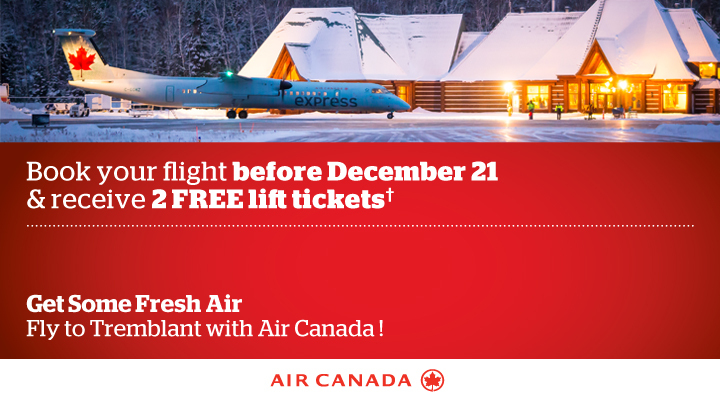 Air Canada offers non-stop flights between Toronto Pearson (YYZ) and Mont-Tremblant in winter. Porter offers direct flights between Billy Bishop Toronto City Airport (YTZ) and Mont-Tremblant.